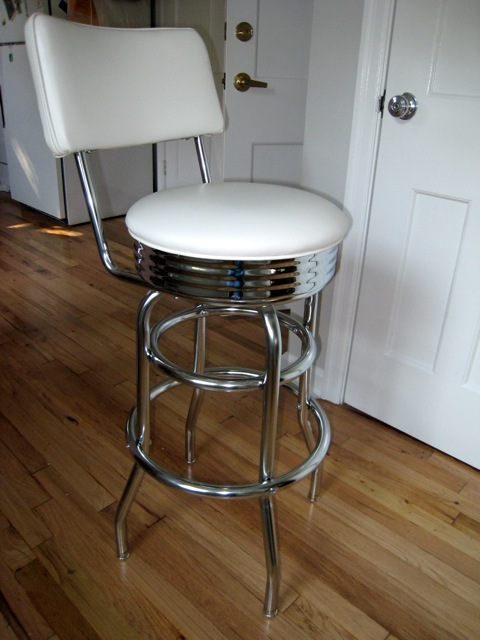 My retro barstools arrived, and they look perfect in my newly pink kitchen with polished chrome hardware. Check them out below. Photos of the finished kitchen will be coming soon. We are still putting on some finishing touches such as curtains and artwork, but the pink cabinets are finished, all the trim and walls have been painted (thanks, Sherwin Williams for your vintage modern color palettes), and the hardwoods have been refinished. It is looking so cute and retro! We were lucky to find your blog. Visit our blog to read interesting things about the architecture.